On Sunday afternoon, with the Con soon coming to a close, there was a panel featuring a group of students, from various college and universities, presenting the results of an ethnographic study that they had conducted during the weekend. 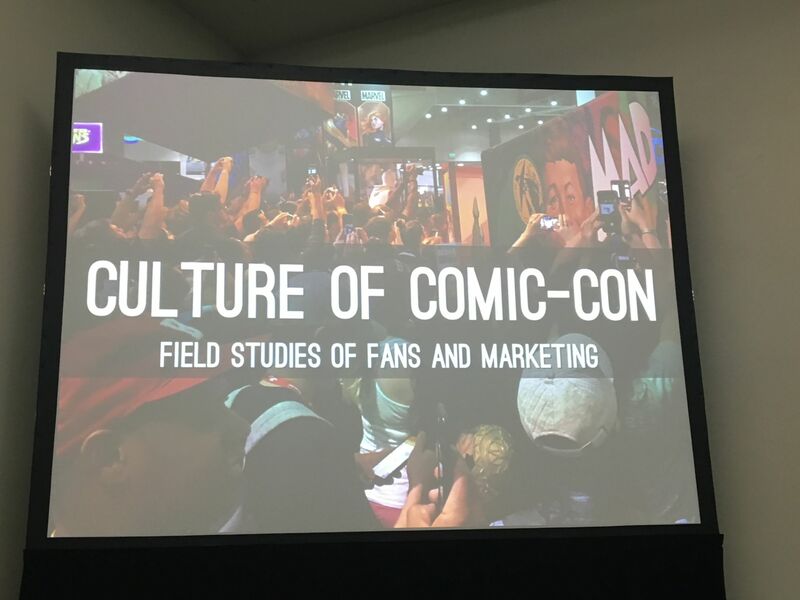 This panel was part of the Comics Arts Conference a subsection of programming at the Con which focuses on academic study of comics and popular culture. This, the final one of the weekend, was #16 of the year’s series. It was introduced by Travis Langley, editor (Daredevil Psychology: The Devil You Know), while he was in Westworld cosplay. 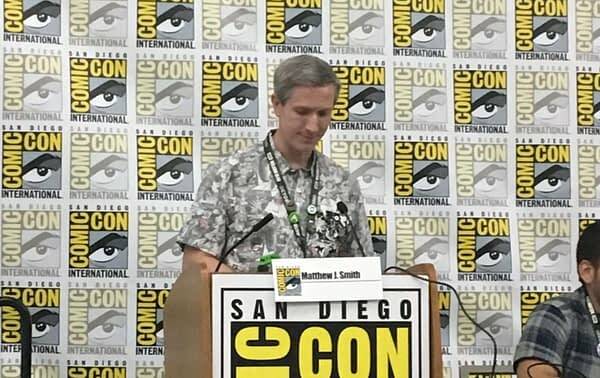 Moderated by Dr Matthew J. Smith (Yes, ‘Matt Smith’ but not that Matt Smith), of Radford University, the students discussed what they had observed over the course of attending the Convention while interacting with other fans, professionals, and convention organizers. 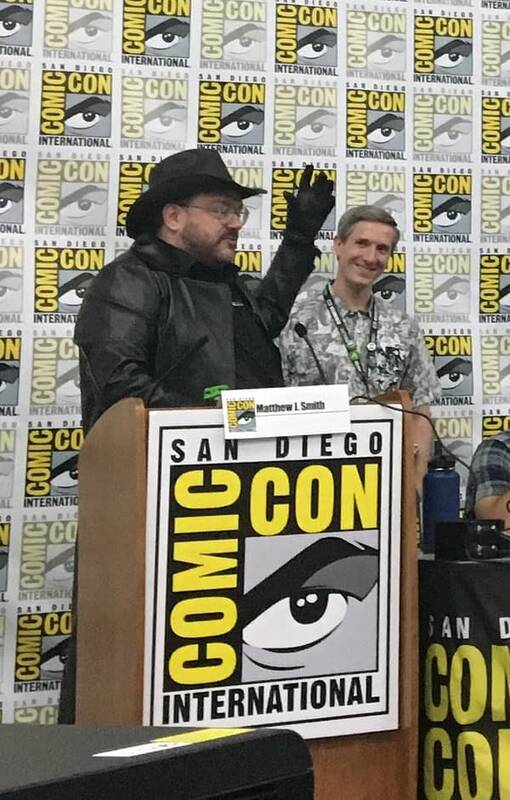 This is Dr Smith’s 13th year of having the program at the Con and he estimates that he has had nearly 100 students attend to conduct their research, draw conclusions, and ultimately receive credit as a course for their education. Those interested in learning more about the program should visit here. Each of the eight students, most of whom were attending the Con for the first time, had a particular focus as to how they would view the Con with the panel serving as an opportunity to present their initial results to those in attendance and answer some questions, which would further inform the study. This year’s team, and their area of study, was Carlos Flores (‘toxic fandom’), Anthony Dannar (‘authentic fandom’), Abigail Tenshaw (‘women in comics’), Amari Page (‘expectations and disappointments’), Jordan Bennett (‘disabled accessibility’), Matt Lunga (‘video gaming and comics’), Margaret Clarke (‘cosplay’), and Abbie Keane (‘Funko Pops’). Dannar said that he had observed fans who would “list their credentials… and separate from stereotype” as two recurring types of behaviors. 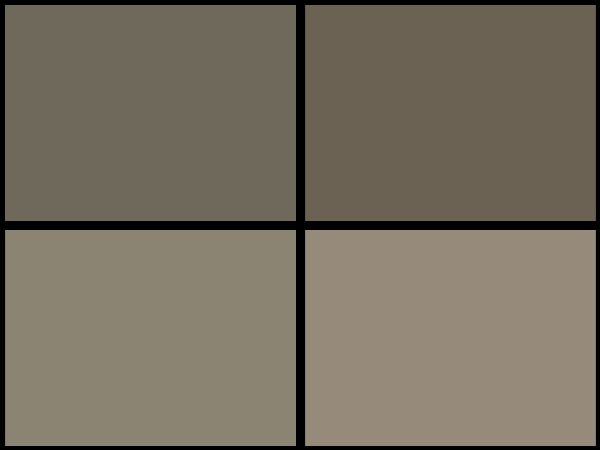 Fans list their credentials as a way of establishing what they enjoy, and how they enjoy it, often as a basis for comparison to others. 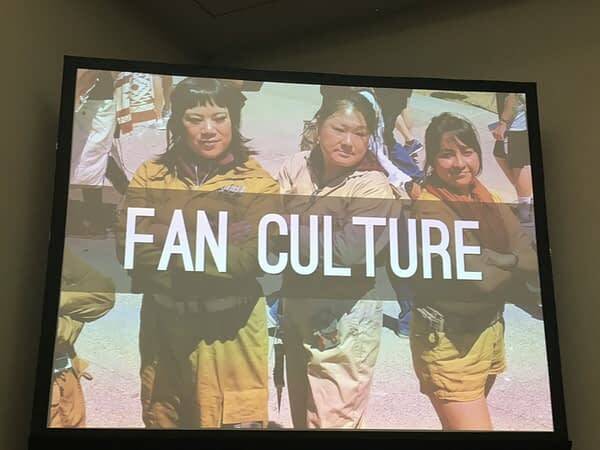 Part of this is listing what a fan felt that they were not, namely if a subculture has certain stereotypes attached to it that then the fan is defined as specifically not having those attributes. Bennett, who focused on the assistance provided to attendees with disabilities, mentioned that there were both positives and negatives. 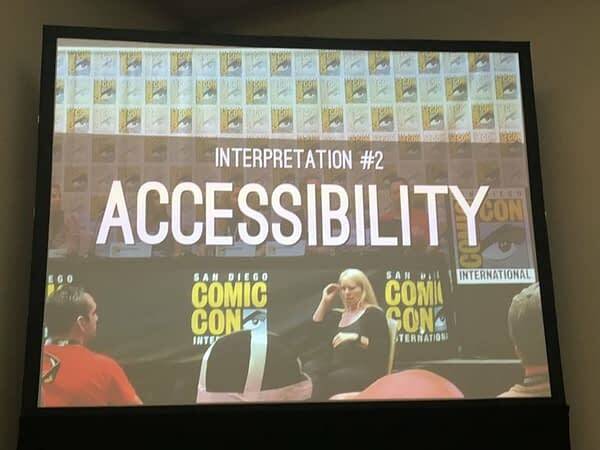 “The SDCC website is not screen-reader friendly” and “ADA lines were not easy to find, at least for Hall H” but that overall the Con organizers are trying to ensure every fan has a chance to participate, including having sign language interpreters at many panels. 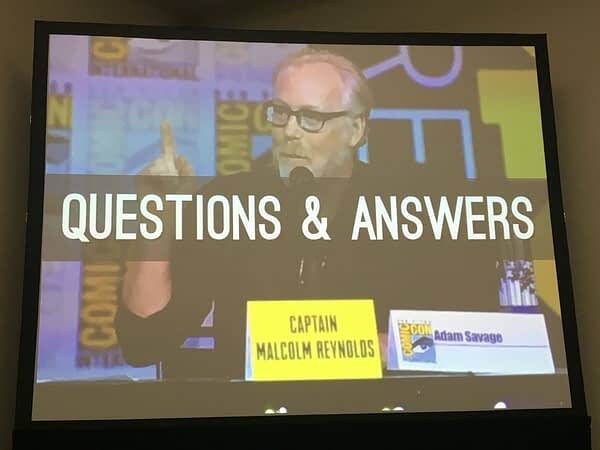 An audience member asked what the panelists felt the role of actual comic books were at the Con. 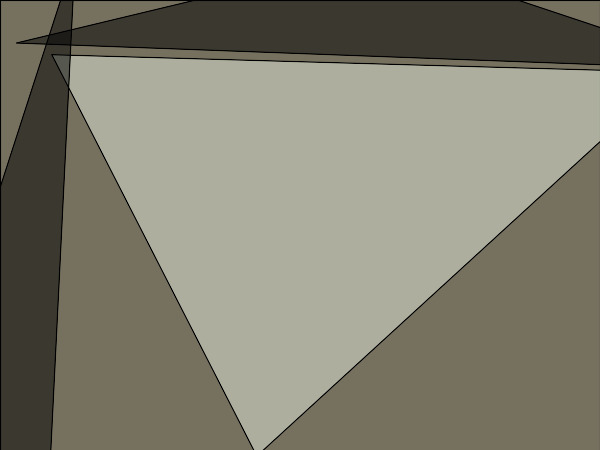 Lunga answered that comics, which he referred to as “trans-media pop-art,” are the source for many of the mass media adaptations and influences that can overwhelm the Con but the comics themselves do not have as large a presence as might be expected. There was a brief discussion about the ubiquitousness of Pops. 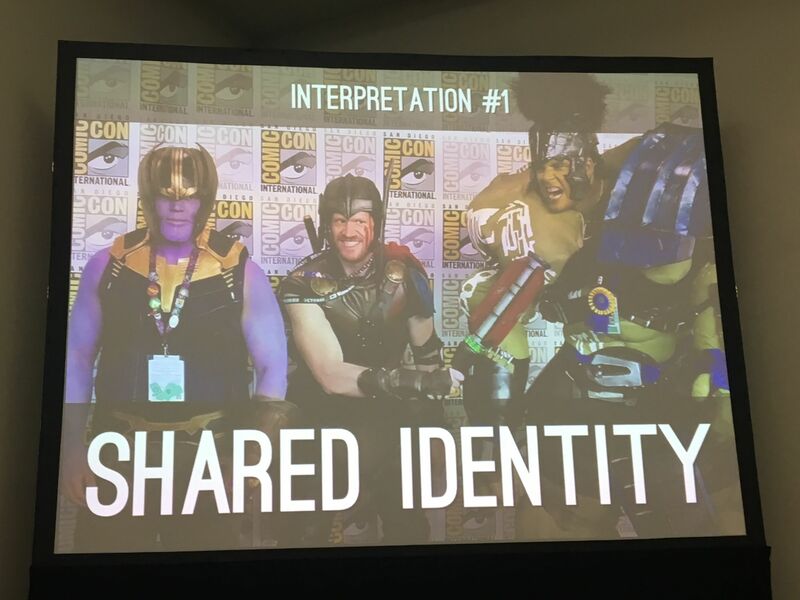 Keane mentioned that they represented the most obvious example of how the Con blends a wide variety of pop-culture together in a uniform, easy to consume product. She added that while she loved collecting them she worried about the potential for them to be used to prey on fans. One fear she offered was that it would become standard practice to make one common character’s Pop in each wave exclusive to one venue. 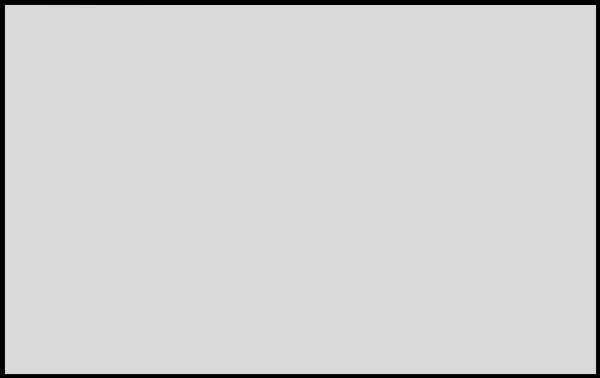 This would prevent every fan from having a complete set without paying the exorbitant prices that could be charged and having the added problem of getting to the venue in the first place. This would not be the same situation as when a variant of an existing Pop is made exclusive. Though the results of the study would be for academic purposes only, several of those conducted in preceding years have been expanded and collected in a book that offers insight to the various cultures of the Con and how they interact.